SMK Tengku Idris Shah is located in Kapar, Selangor, about 20km north of Klang and about 45km away from KL Sentral. It takes about 1 hour to get to the school from KL Sentral. It is a large school, with approximately 2,300 students. Many students come from poor backgrounds - many are illiterate and innumerate. 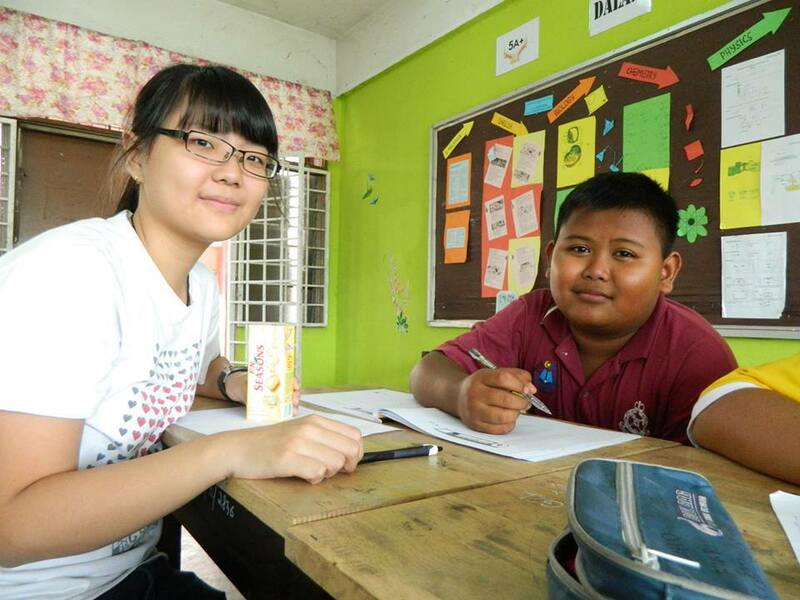 Basic literacy test for Bahasa Malaysia done by the State Education Department of Selangor (JPS), administered last year revealed that 198 students out of approximately 1,050 students in the afternoon session of the school were illiterate. This means that many students lack the ability and skills to function in a normal classroom. These students are increasingly being left further behind in school each year and many don't pick up these basic skills even after they have completed formal education, locking them into low income jobs, thus perpetuating the vicious cycle of poverty and illiteracy that our students are unfortunately caught in. 1. Many students entering the school are 3 to 6 years behind; some begin their secondary school years unable to read and write. 2. Students often get frustrated due to the lack of comprehension, as teachers are teaching at a much higher level than they can cope with. 3. The range of students' abilities in each classroom is so wide that to individualize learning to each student's current level would be an overwhelming task, given the limited amount of time we have in the classroom with the students. c) A Form 1 boy cannot even add one and one. Our project, 'The RE:ED Project' wants to tackle this worrying problem of illiteracy and innumeracy. We need to break the cycle of poverty so that these students will be able to see that they are not bound by their circumstances in life. Their future is our future; this project aims to bring these low-performing students back on track, to where they are supposed to be. We want our students to be able to read and understand their textbooks. We want them to have adequate arithmetic skills. We want to close the gap between where they are right now, and where they are meant to be. We have been running weekly extra classes since April 2013. Volunteers form an integral part of our project, and most of them come from HELP University. Our project goal is to have our students successfully pass a Mathematics assessment and an English proficiency test by the end of the year in order to measure achievement and growth. The extra classes are a year-long project, and are divided into three cycles. Generally, each cycle will consist of 5 to 6 classes. Classes are held on Saturdays, from 10.00 a.m. to 12 p.m. The English Literacy program is based on the Usborne Reading Program. The volunteers will guide students in reading and speaking through these books, some of which come with teachers' notes. In addition, the books by Usborne Reading Program also come with a CD which serves as an audio book. However, at present time we do not have electronic devices which will enable the students to play them during the extra classes. We believe that the combination of the CD and the book will help enhance their learning of English. 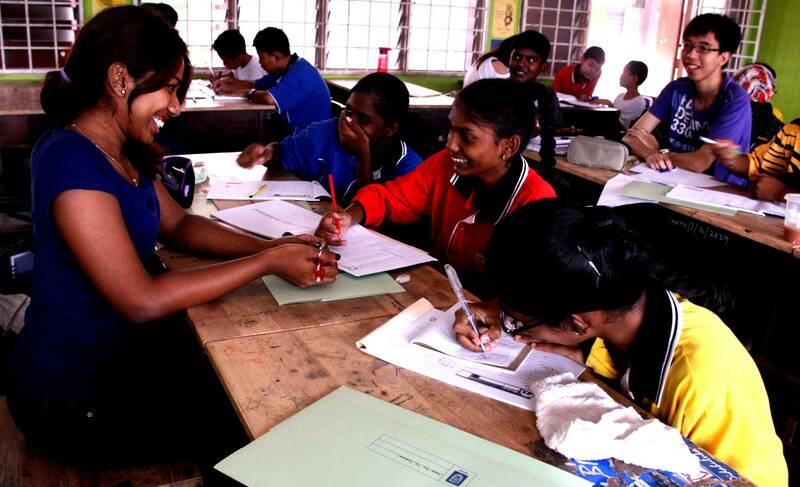 Because these students are barely able to speak, read and write in English. With these learning aids, students will be able to use the CD copied to an MP3, perhaps, and listen to it themselves so as to build vocabulary and learn the correct pronunciation. The money raised will be put into good use by buying more books from the Usborne Reading Program. Currently, only 35 students are receiving help from the volunteers. We hope that we will be able to reach out to more students in this school. By investing in The RE:ED Project, you can be a part of the solution. Every donation, no matter the amount, can make a difference. At The RE:ED Project, we always stress that no child should ever be told, "because you were born in the wrong place at the wrong time, you will be denied educational opportunities." We hope for a nation in which all children can pursue their right to quality education, and we invite you to join us in making that vision a reality. However, the person must send pitchIN the proof of transfer by attaching the receipt to the email address: [email protected] with the Subject Heading: RE:ED. Upon receiving that, the folks at pitchIN can then quickly update the project page. USD1 or more - A handmade Thank You card by the kids. You will also be awarded with a virtual Gratitude badge that will be displayed on our Facebook page. USD10 or more - A handmade Thank You card by the kids. Your name will be written in a book bought with your donation. You will be awarded with a virtual Generous Giver badge that will be displayed on our Facebook page. USD50 or more - A handmade Thank You card by the kids. You will receive an invitation to our mini projects or events in the future. You will also be awarded with a virtual Good Samaritan badge that will be displayed on our Facebook page. USD100 or more - A handmade Thank You card by the kids. You will receive an invitation to be part of the family/solution in realizing the vision. A progress report on The RE:ED Project will be sent to you on every 3 cycles. There will be 3 progress reports in total for a year. You will also be awarded a virtual Family badge that will be displayed on our Facebook page.